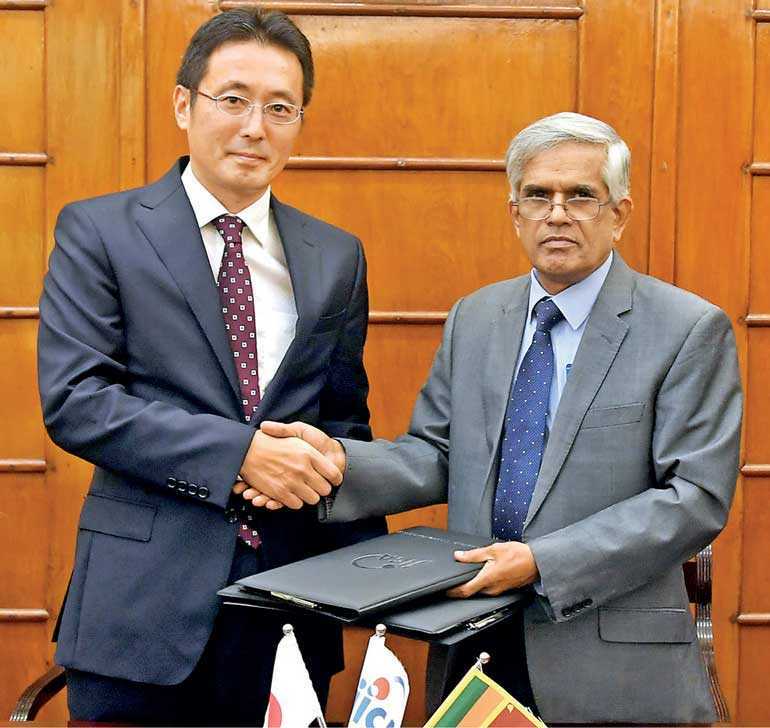 Japan International Cooperation Agency (JICA) signed a loan agreement with the Government of the Democratic Socialist Republic of Sri Lanka (GOSL) on 11 July to provide Japan’s Official Development Assistance (ODA) loan up to Yen 10.639 billion for the Health and Medical Service Improvement Project. The objective of the project is to improve medical services for the diagnosis and treatment of Non-Communicable Diseases (NCDs) by strengthening the medical facilities and equipment at the tertiary care hospitals, providing equipment to training institutions for Medical Laboratory Technologists (MLT) and strengthening the maintenance and management system for medical equipment at the Bio Medical Engineering Services under the Ministry of Health, Nutrition and Indigenous Medicine (MOH) and target medical institutions. The targeted tertiary care hospitals of the project are Anuradhapura, Badulla, Kandy, Kurunegala and Trincomalee. The loan funds will be mainly allocated towards the improvement of cath labs in the above hospitals, facility and equipment improvements and technical assistance for medical equipment maintenance and management, etc. at the above institutions. The GOSL has made remarkable strides in basic health services such as communicable diseases and maternal and child health over the past decades. However, despite these measures, since 1980s the prevalence of NCDs is on rise due to the increase in the elderly population and lifestyle changes. Approximately 60 percent of the total deaths in the country during 1990s which were caused by NCDs were increased up to 81 percent in 2015 including cardiovascular diseases. Despite the numerous programs implemented by GOSL to improve NCDs in the country, inadequate medical facilities and equipment for necessary diagnosis and treatments, especially in the rural tertiary care hospitals have been hindering the achievement in the NCD management. The equipment at training institutions for MLTs who carry out the tests needed for the diagnosis of NCDs and other diseases are also seen as either insufficient or in poor condition. Furthermore, managing the existing medical equipment, maintenance and management system also needs to be strengthened. The new JICA project is expected to address these issues at the targeted medical institutions noted above. This project is a remarkable milestone of JICA cooperation extended towards the health sector of Sri Lanka and the outcome of the project is expected to contribute immensely to the improvement of diagnosis and treatment services for NCDs in Sri Lanka.